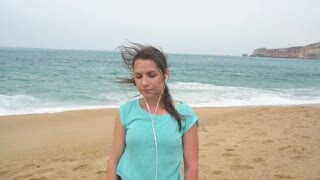 girl listening to music with headphones from phone at home. 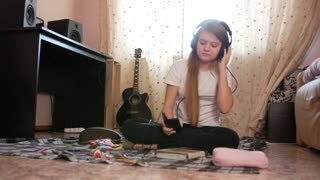 Smiling young blond girl listening to music in her pink headphones at home. 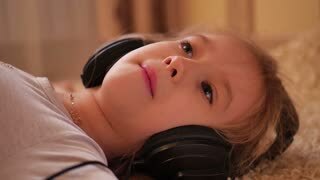 Portrait of cute girl in headphones lying on a couch in the living room listening to music and browsing on mobile phone at home. Relaxing and thoughtful look. Lovely home atmosphere.